UConn Health's Dr. Cato Laurencin says regenerative engineering will soon revolutionize how musculoskeletal tissue injuries are treated. The work has the potential to produce "unusually high impact" in solving an important biomedical or behavioral health problem. The Director's Pioneer Awards are given by the NIH to scientists whose work has the potential to produce "unusually high impact" in solving important biomedical or behavioral health problems. 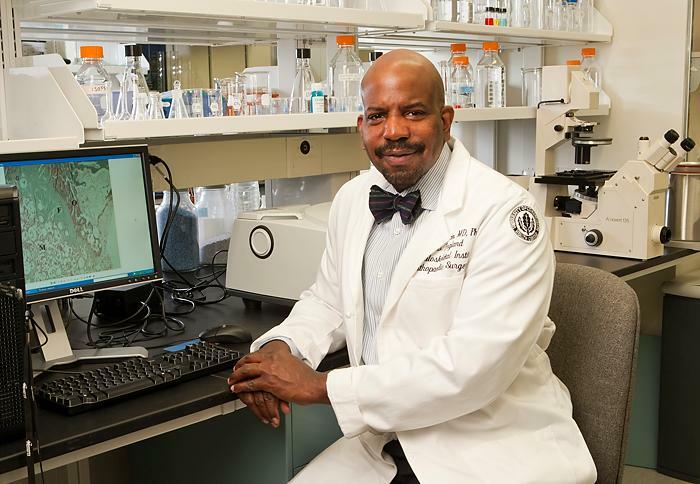 One of this year's winners is Dr. Cato Laurencin, professor of Orthopaedic Surgery, and founding director of UConn Health's Institute for Regenerative Engineering. He was awarded $4 million to continue his work in the field. Laurencin said regenerative engineering will revolutionize the way musculoskeletal tissue injuries are treated. "We're gaining a better and better understanding now," he said, "but it really harnesses the characteristics and abilities of different materials to interact with cells in specials ways to be able to regenerate tissue." One practical example of regenerative engineering is Laurencin's method for recreating ligament tissue in the knee, which has a U.S. patent, and is currently the subject of a clinical trial in Europe. "We use polymeric microfibers, and braid it in a special way," he said. "They're designed to allow for guided regeneration of the tissues, meaning that the body's own cells -- the body's own tissues -- recognize the matrix we have created as a matrix to allow generation to occur." The tissue grows around the braid to create a healthy ligament. Laurencin said he's excited that the award will, in part, help him find solutions for veterans coming home with missing limbs, digits, and other permanent muscle and tissue damage. 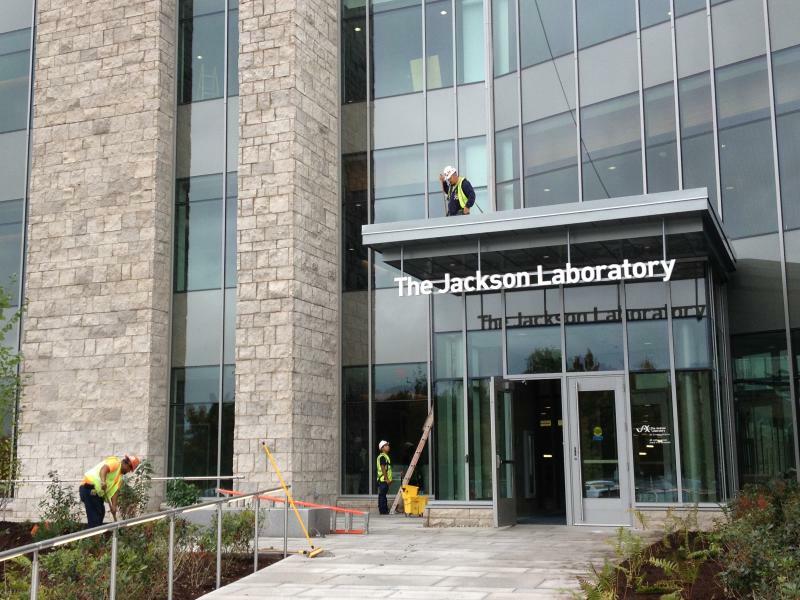 Jackson Laboratory is putting the finishing touches to its new facility in Farmington. The $100 million building opens for business next week, and the non-profit says there are already plans for further expansion.